One of the best ways to get the maximum return on your marketing dollar is to invest in an integrated marketing campaign. 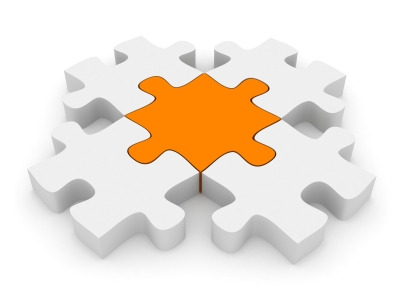 An integrated marketing campaign does not need to be complex to be effective. It could simply mean following up an email blast with a calling campaign. Both of those two marketing tactics can be effective and powerful methods of reaching your prospective audience all on their own, but combined together (ie. integrated) they become a true campaign. The power of the integrated campaign lies in the repetitive 'touches' made to prospective clients. If a campaign consists of an email blast and then a calling campaign, you may consider that to be 2 'touches' to each prospect. Email blast campaign followed by targeted calling effort. Email blast campaign that leads to a landing page where prospect is offered something that is valuable to them (examples are a complimentary whitepaper, free consultation/evaluation, etc.) followed by a targeted calling effort. Email blast/landing page campaign that promotes an event where prospects are guaranteed valuable information and often a complimentary meal while they learn. A calling effort after the event can be utilized as well to gauge feedback and give prospects a chance to learn more if they were unable to attend. Website launch followed by email blast, landing page, and calling effort. The marketing tactics in this instance would serve to promote the new website and drive traffic there. These types of marketing initiatives add value to your marketing dollar spend because they create impact and longevity. Prospective clients are more likely to remember your name, logo, and offerings if they have seen them multiple times, represented in different media. Consider a simple integrated marketing campaign to get yourself started; you may be surprised at the results!